If you've known me longer than 5 minutes, you probably know that I am a big fan of babywearing. It has without a doubt made motherhood richer and easier for me in so many ways. I purchased an Ergobaby Original Carrier a couple of months before our son arrived, and from the time he was 3 months old, he has been worn in that carrier daily. When he was little and slept often, I wore him while on conference calls for work, while cleaning the house, prepping dinner, you name it. As he's gotten older I still use it when we venture out to a festival or any crowded event that I don't want to navigate with a stroller, and it is our go-to to help him wind down his limitless toddler energy before bedtime. I can honestly say that it has been by far the most useful piece of baby gear we have purchased. So, you can imagine my despair when buckling him in one night, the chest clip snapped. I called customer support at Ergobaby to see if we could order a replacement strap or clip. I spoke with a friendly customer care associate who followed up by sending me an email with instructions on what information they needed to process my request. After taking a handful of photos of our carrier I responded with the photos and details and crossed my fingers. I heard back from her quickly and learned that while my model did not have a clip or strap replacement, they would be able to offer me a warranty replacement. I sent a copy of my proof of purchase, selected a BRAND SPANKIN' NEW carrier from their website and a few days later had this beautiful baby in our possession. 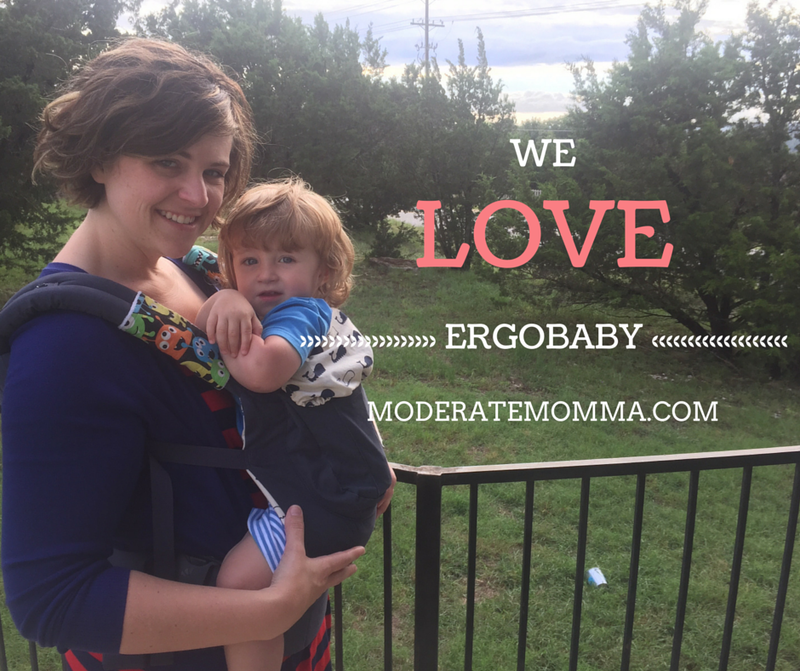 I am not a paid spokesperson for Ergobaby, just a mom who has loved their carriers and appreciates it when a company stands behind their awesome line of products and believes in taking care of their customers. 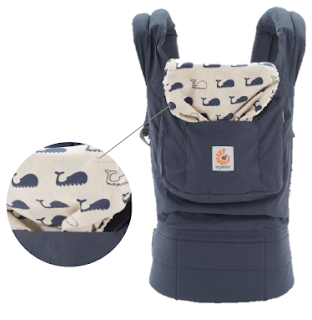 If you are expecting or have a little one, check out the line of carriers, nursing pillows, swaddlers and more on their website. If anyone from Ergobaby is reading this...please, please, please release a line of toddler carriers soon! :) My little man is rapidly outgrowing our original and I would love to continue to support such a fantastic brand. Hey friend! I am starting to think of what to buy in terms of gear for FutureBaby, and this post is so very helpful. I LOVE companies with great customer service, and this gives me fuel to my arguments that receipts are important and should be saved, always... :) You look so happy! Thanks for the advice, I definitely wanted a carrier and knowing what I now know I will check Ergobaby out. Hey Jess! Thanks for stopping by! I'm nutty about documentation, my inbox is both amazing and terrifying. :) I purchased off amazon and thankfully was able to log into our prime account and print the receipt. Another kudos to their customer service, they honored the warranty well after the one year mark AND it was purchased from a third party retailer. They are awesome carriers!